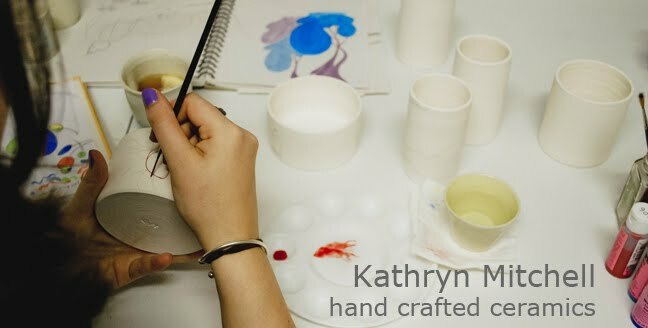 Kathryn Mitchell Ceramics: ta dah! My wheel and kiln were delivered yesterday. Spud (studio landlord) called me after the courier drop and I immediately LEAPT into the car and whizzed up to unpack them. For some reason I was surprised to see them both in boxes? How else did I think they would arrive?! What I thought would be a two hour job was more like four. Partly my own fault; I was so overexcited that I just couldn't focus on reading the instructions! I even forgot to eat lunch and I NEVER miss a meal. The kiln needs to be wired in yet (single phase electricity), but hopefully that will be done within a week and I can begin test firings! The unpacking process was so exciting yet nerve wrecking, I was exhausted and I didn't even do any of the heavy lifting!! Big thank yous to Spud, Alan and Leslie for their man help. That's very exciting. The Whisper wheels are so sweet in so many ways, the quiet is just one of them. You're going to love it. I love the rustic interior and exterior. It just seems "right" for pottery.